Robotics researchers have worked hard to realize a long-awaited vision: machines that can eliminate the need for people to work in hazardous environments. Chapter 60 is framed by the vision of disaster response: search and rescue robots carrying people from burning buildings or tunneling through collapsed rock falls to reach trapped miners. In this chapter we review tangible progress towards robots that perform routine work in places too dangerous for humans. Researchers still have many challenges ahead of them but there has been remarkable progress in some areas. Hazardous environments present special challenges for the accomplishment of desired tasks depending on the nature and magnitude of the hazards. Hazards may be present in the form of radiation, toxic contamination, falling objects or potential explosions. Technology that specialized engineering companies can develop and sell without active help from researchers marks the frontier of commercial feasibility. Just inside this border lie teleoperated robots for explosive ordnance disposal (EOD) and for underwater engineering work. Even with the typical tenfold disadvantage in manipulation performance imposed by the limits of today’s telepresence and teleoperation technology, in terms of human dexterity and speed, robots often can offer a more cost-effective solution. However, most routine applications in hazardous environments still lie far beyond the feasibility frontier. Fire fighting, remediating nuclear contamination, reactor decommissioning, tunneling, underwater engineering, underground mining and clearance of landmines and unexploded ordnance still present many unsolved problems. 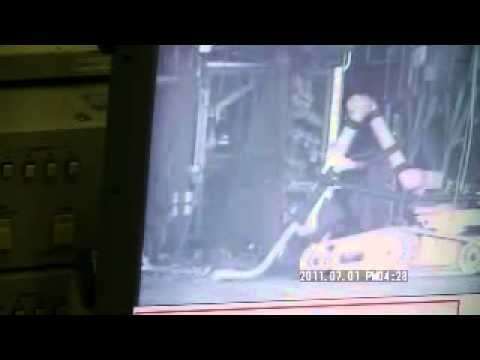 A video apparently provided by IEEE Spectrum showing views of a robot performing simple vacuum-cleaning tasks. When the first edition of this book was published domestic robots were spoken of as a dream that was slowly becoming reality. At that time, in 2008, we looked back on more than twenty years of research and development in domestic robotics, especially in cleaning robotics. Although everybody expected cleaning to be the killer app for domestic robotics in the first half of these twenty years nothing big really happened. About ten years before the first edition of this book appeared, all of a sudden things started moving. Several small, but also some larger enterprises announced that they would soon launch domestic cleaning robots. The robotics community was anxiously awaiting these first cleaning robots and so were consumers. The big burst, however, was yet to come. The price tag of those cleaning robots was far beyond what people were willing to pay for a vacuum cleaner. It took another four years until, in 2002, a small and inexpensive device, which was not even called a cleaning robot, brought the first breakthrough: Roomba. Sales of the Roomba quickly passed the first million robots and increased rapidly. While for the first years after Roomba’s release, the big players remained on the sidelines, possibly to revise their own designs and, in particular their business models and price tags, some other small players followed quickly and came out with their own products. We reported about theses devices and their creators in the first edition. Since then the momentum in the field of domestics robotics has steadily increased. Nowadays most big appliance manufacturers have domestic cleaning robots in their portfolio. We are not only seeing more and more domestic cleaning robots and lawn mowers on the market, but we are also seeing new types of domestic robots, window cleaners, plant watering robots, tele-presence robots, domestic surveillance robots, and robotic sports devices. Some of these new types of domestic robots are still prototypes or concept studies. Others have already crossed the threshold to becoming commercial products. For the second edition of this chapter, we have decided to not only enumerate the devices that have emerged and survived in the past five years, but also to take a look back at how it all began, contrasting this retrospection with the burst of progress in the past five years in domestic cleaning robotics. We will not describe and discuss in detail every single cleaning robot that has seen the light of the day, but select those that are representative for the evolution of the technology as well as the market. We will also reserve some space for new types of mobile domestic robots, which will be the success stories or failures for the next edition of this chapter. Further we will look into nonmobile domestic robots, also called smart appliances, and examine their fate. Last but not least, we will look at the recent developments in the area of intelligent homes that surround and, at times, also control the mobile domestic robots and smart appliances described in the preceding sections. 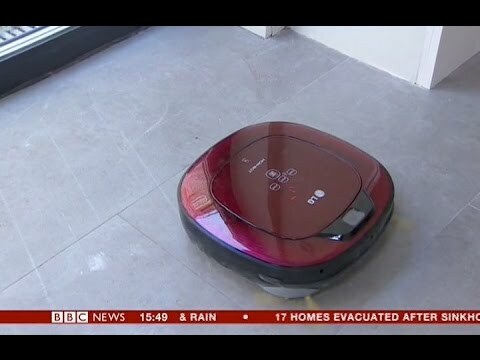 Reviews of domestic, vacuum-cleaning robots by BBC. Although we do not know as yet how robots of the future will look like exactly, most of us are sure that they will not resemble the heavy, bulky, rigid machines dangerously moving around in old fashioned industrial automation. There is a growing consensus, in the research community as well as in expectations from the public, that robots of the next generation will be physically compliant and adaptable machines, closely interacting with humans and moving safely, smoothly and efficiently - in other terms, robots will be soft. This chapter discusses the design, modeling and control of actuators for the new generation of soft robots, which can replace conventional actuators in applications where rigidity is not the first and foremost concern in performance. The chapter focuses on the technology, modeling, and control of lumped parameters of soft robotics, that is, systems of discrete, interconnected, and compliant elements. Distributed parameters, snakelike and continuum soft robotics, are presented in Chap. 20, while Chap. 23 discusses in detail the biomimetic motivations that are often behind soft robotics. Author centro di Ricerca "E. Piaggio"
A 3-DOF arm, built with VSA-cube units, performing a circle on a wavy surface with preset low stiffness. This chapter surveys some of the principal research trends in Social Robotics and its application to human–robot interaction (HRI). Social (or Sociable) robots are designed to interact with people in a natural, interpersonal manner – often to achieve positive outcomes in diverse applications such as education, health, quality of life, entertainment, communication, and tasks requiring collaborative teamwork. The long-term goal of creating social robots that are competent and capable partners for people is quite a challenging task. They will need to be able to communicate naturally with people using both verbal and nonverbal signals. They will need to engage us not only on a cognitive level, but on an emotional level as well in order to provide effective social and task-related support to people. They will need a wide range of socialcognitive skills and a theory of other minds to understand human behavior, and to be intuitively understood by people. A deep understanding of human intelligence and behavior across multiple dimensions (i. e., cognitive, affective, physical, social, etc.) is necessary in order to design robots that can successfully play a beneficial role in the daily lives of people. This requires a multidisciplinary approach where the design of social robot technologies and methodologies are informed by robotics, artificial intelligence, psychology, neuroscience, human factors, design, anthropology, and more. This video illustrates the importance of response time in interactions with a social robot. In the first part of the study, it was revealed that it is hard to wait for more than two seconds. In the second part of the study, a technique to use a "conversational filler" is developed, which moderates the frustrations of waiting too long. When mating parts are brought together, small misalignments must be accommodated by responding to contact forces. Using force feedback, a robot may sense contact forces during assembly and invoke a response to guide the parts into their correct mating positions. The proposed approach integrates force-guided strategies into Hogan's impedance control. Stability of both geometric convergence and of contact dynamics are achieved. Geometric convergence is accomplished more reliably than through the use of impedance control alone, and such a convergence is achieved more rapidly than through the use of force-guided strategies alone. This work was published in the ICRA 1995 video proceedings. In this chapter we present an overview of the field of telerobotics with a focus on control aspects. To acknowledge some of the earliest contributions and motivations the field has provided to robotics in general, we begin with a brief historical perspective and discuss some of the challenging applications. Then, after introducing and classifying the various system architectures and control strategies, we emphasize bilateral control and force feedback. This particular area has seen intense research work in the pursuit of telepresence. We also examine some of the emerging efforts, extending telerobotic concepts to unconventional systems and applications. Finally,we suggest some further reading for a closer engagement with the field. This video shows the teleoperation a humanoid robot HRP using whole-body multimodal tele-existence system. The human operator teleoperates the humanoid robot to drive a lifting vehicle in a warehouse. Presented at ICRA 2002. Design issues, dynamic modeling, trajectory planning, and feedback control problems are presented for robot manipulators having components with mechanical flexibility, either concentrated at the joints or distributed along the links. The chapter is divided accordingly into two main parts. Similarities or differences between the two types of flexibility are pointed out wherever appropriate. For robots with flexible joints, the dynamic model is derived in detail by following a Lagrangian approach and possible simplified versions are discussed. The problem of computing the nominal torques that produce a desired robot motion is then solved. Regulation and trajectory tracking tasks are addressed by means of linear and nonlinear feedback control designs. For robots with flexible links, relevant factors that lead to the consideration of distributed flexibility are analyzed. Dynamic models are presented, based on the treatment of flexibility through lumped elements, transfer matrices, or assumed modes. Several specific issues are then highlighted, including the selection of sensors, the model order used for control design, and the generation of effective commands that reduce or eliminate residual vibrations in rest-to-rest maneuvers. Feedback control alternatives are finally discussed. In each of the two parts of this chapter, a section is devoted to the illustration of the original references and to further readings on the subject. In this chapter, we describe algorithms for three-dimensional (3-D) vision that help robots accomplish navigation and grasping. To model cameras, we start with the basics of perspective projection and distortion due to lenses. This projection from a 3-D world to a two-dimensional (2-D) image can be inverted only by using information from the world or multiple 2-D views. If we know the 3-D model of an object or the location of 3-D landmarks, we can solve the pose estimation problem from one view. When two views are available, we can compute the 3-D motion and triangulate to reconstruct the world up to a scale factor. When multiple views are given either as sparse viewpoints or a continuous incoming video, then the robot path can be computer and point tracks can yield a sparse 3-D representation of the world. In order to grasp objects, we can estimate 3-D pose of the end effector or 3-D coordinates of the graspable points on the object. We show how a video is automatically converted into a 3-D model using computer-vision techniques. More details on this approach can be found in: M. Pollefeys, L. Van Gool, M. Vergauwen, F. Verbiest, K. Cornelis, J. Tops, R. Koch: Visual modeling with a hand-held camera, Int. J. Comp. 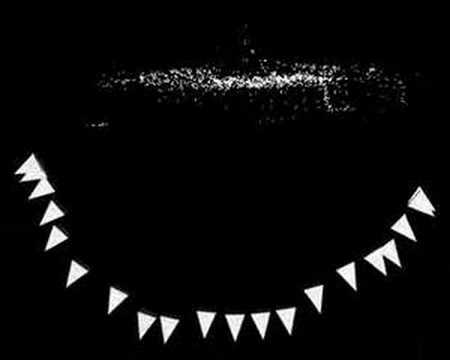 Vis. 59(3), 207-232 (2004). This chapter surveys the main approaches developed to date to endow robots with the ability to learn from human guidance. The field is best known as robot programming by demonstration, robot learning from/by demonstration, apprenticeship learning and imitation learning. We start with a brief historical overview of the field. We then summarize the various approaches taken to solve four main questions: when, what, who and when to imitate. We emphasize the importance of choosing well the interface and the channels used to convey the demonstrations, with an eye on interfaces providing force control and force feedback. We then review algorithmic approaches to model skills individually and as a compound and algorithms that combine learning from human guidance with reinforcement learning. We close with a look on the use of language to guide teaching and a list of open issues. This video illustrates how one can teach a robot to display the right amount of stiffness to perform a task successfully. Decrease in stiffness is demonstrated by shaking the robot, while increase in stiffness is conveyed by pressing on the robot's arm (pressure being measured through tactile sensors along the robot's arm). Reference: K. Kronander,A. Billard: Learning compliant manipulation through kinesthetic and tactile human-robot interaction, IEEE Trans. Haptics 7(3), 367-380 (2013); doi: 10.1109/TOH.2013.54 . This chaptermay be seen as a follow up to Chap. 24, devoted to the classification and modeling of basic wheeled mobile robot (WMR) structures, and a natural complement to Chap. 47, which surveys motion planning methods for WMRs. A typical output of these methods is a feasible (or admissible) reference state trajectory for a given mobile robot, and a question which then arises is how to make the physical mobile robot track this reference trajectory via the control of the actuators with which the vehicle is equipped. The object of the present chapter is to bring elements of the answer to this question based on simple and effective control strategies. The chapter is organized as follows. Section 49.2 is devoted to the choice of controlmodels and the determination of modeling equations associated with the path-following control problem. In Sect. 49.3, the path following and trajectory stabilization problems are addressed in the simplest case when no requirement is made on the robot orientation (i. e., position control). In Sect. 49.4 the same problems are revisited for the control of both position and orientation. The previously mentionned sections consider an ideal robot satisfying the rolling-without-sliding assumption. In Sect. 49.5, we relax this assumption in order to take into account nonideal wheel-ground contact. This is especially important for field-robotics applications and the proposed results are validated through full scale experiments on natural terrain. Finally, a few complementary issues on the feedback control of mobile robots are briefly discussed in the concluding Sect. 49.6, with a list of commented references for further reading on WMRs motion control. 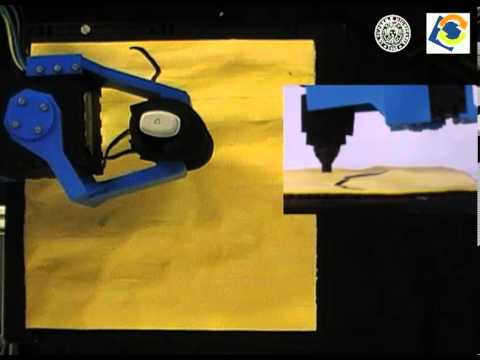 This video shows an experiment performed in 2005 with a unicyle-like robot. A video camera mounted at the top of a robotic arm enabled estimation of the 2-D pose (position/orientation) of the robot with respect to a visual target consisting of three white bars. These bars materialized an omnidirectional moving frame. The experiment demonstrated the capacity of the nonholonomic robot to track in both position and orientation this ominidirectional frame, based on the transverse function control approach.